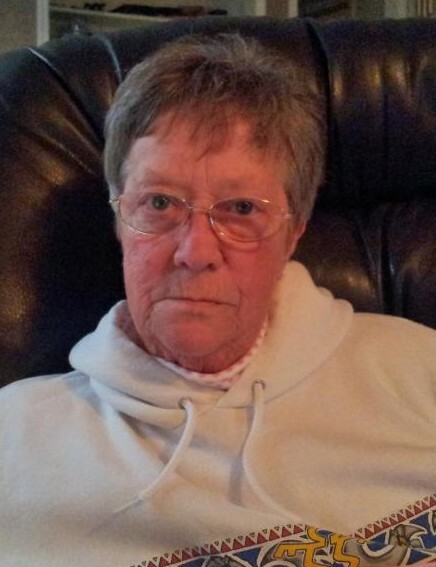 Joan Marie Robinson, 74 of Wildwood, IL passed away on Saturday, April 6, 2019 at Advocate Condell Medical Center in Libertyville, IL. She was born on August 14, 1944 to Lyle and Alice (Doolittle) Wood Sr. in Kalamazoo, MI. Joan is survived by her children, Troy Goodes, Peggy “Missy” (Dan) Lewis and Patrick (Camie) Goodes, her grandchildren, Chase Goodes, Kyle Goodes, Zachary Lewis, Dean Lewis, Amanda Lewis and Ashley Goodes, her great grandson, Keaten Goodes, her siblings, Lylia Blue, Louise Pountain, Lyle Woods Jr., Shelley Noyes and Shirley (Mike) Powell. She was preceded in death by her parents, her daughter, Teri Lee Huff, her siblings Sandy Hoffman, Billy Springer, Lillian Spohn and her step-mother, Bella Wood. A memorial service will be held for family and friends on May 25, 2019 at Noon at her home.